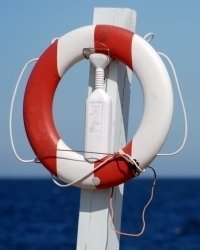 A boat insurance claim can be denied under certain circumstances. This denial is based on conditions that were created by you the boater or exclusions that are written in the policy. When purchasing boat insurance it is important to understand what the policy covers and the circumstances that exclude coverage. Because there is a wide variance in the type of boat insurance coverage that is available, it is difficult to speak in general terms about what circumstances would or would not imperil a claim. For example, most policies define natural perils as being those physical elements that expose your boat to the risk of loss. These include fire, water, wind and other natural occurrences. To the extent that you are imperiled from filing a claim depends on which, if any, natural peril is covered. Additionally, routine maintenance may be required in order to provide protection against loss due to some machinery damage. A water pump that was defective and results in damage to the engine or boat’s hull may be covered or may not be covered, depending on the policy’s coverage limits. Failing to maintain the boat’s engine with oil that results in engine damage or a fire may imperil your claim. Some policies may exclude the resulting loss while others will cover this situation.